Computer games has become a medium used by creators and researchers. Many of them have immersed themselves in the field of experimentation, halfway between reflection, technological avant-garde and innovation. The purpose of this meeting is to present some of these projects and their designers. Dan Pinchbeck (Creative Director, thechineseroom / Reader in Computer Games, University of Portsmouth). What are the outer limits of game design? How can we find them and exploit them? In this lecture, Dan Pinchbeck will explore the transition from research to development and back. Working through thechineseroom’s mods and games, he will show how development driven by research questions has taken the studio to uncharted territory in game design, and discuss what these explorations tell us about games in general. DAN PINCHBECK is a developer and academic based in Brighton, UK. He is Creative Director of thechineseroom, an independent studio who make first-person games, including the award-winning, internationally acclaimed Dear Esther. He teaches game design at the University of Portsmouth, and lectures internationally on design, content and gameplay in first-person gaming. He is author of a forthcoming book on DOOM (University of Michigan Press) and his team are currently working on two games: Everybody’s Gone to the Rapture and the top secret ‘GameB’. Jeroen Stout (Stout Games Managing Director). Games are trying to evolve, but it can be hard to see in which direction this should be done. Classical art can be a worthwhile example to us, should we let go of some of our previous convictions. In doing so, we can develop play which adds a sense of embodiment to all affecting situations. Thus we bring a classical quality to the most modern of mediums: while not forgetting our cultural history. 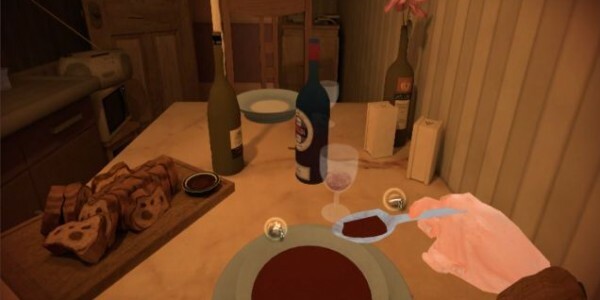 JEROEN D STOUT came into prominence with his IGF-nominated short drama game “Dinner Date”, published through his company Stout Games. Having studied games design at the Utrecht School of Arts and the University of Portsmouth, Stout has become increasingly influenced by classical art and philosophy. He sees this acquaintance with all areas, from art to science to philosophy, as instrumental to the process of making affecting situations interactive. Pippin Barr (Center for Computer Games Research IT Univ. Copenhagen). Much of contemporary video game design is caught up in convention. While the games that emerge from these conventions are enjoyable and exciting, they do little to explore the greater potential of the medium. In this talk I will discuss a perspective I call Curious Games as one approach to entering into the far larger possibility space of video games. By designing, developing, and thinking about Curious Games, we can continue the crucial work of considering video games as a medium, rather than as an entertainment. PIPPINBARR is a video game maker and critic. He teaches experimental game design at the Center for Computer Games Research of the IT University of Copenhagen in Denmark and holds a Ph.D. in Computer Science from Victoria Unviersity of Wellington in New Zealand. His games address everything from airplane safety instructions to contemporary performance art. Pippin also writes a regular blog of game and game design criticism and recently finished a book, How to Play a Video Game, that introduces the uninitiated and culturally curious to the world of video games. 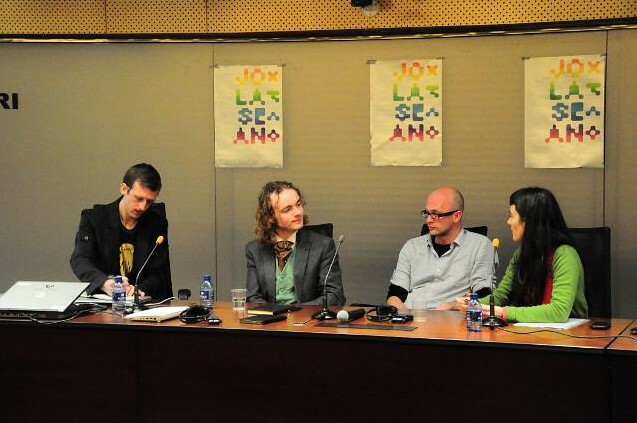 LARA SÁNCHEZ COTERÓN is a researcher at the convergence of contemporary creative practices with (video) games. Bachelor of Fine Arts from the UPV-EHU and PhD candidate at UCM (Game Aesthetics ). She is founding member and game designer at Yoctobit Game-Played Theater group and curator of the program Playful & Playable about independent games. Complements lecturing in different universities (UCLM and UCM), with cultural management about games along with various institutions and groups (Medialab-Prado Madrid, Amarika Project, Fundación Telefónica, Artium, etc.). She is currently involved in the game design of a new Yoctobit project, Mata la Reina, in collaboration with Intermediæ Contemporary Creation (Matadero Madrid).